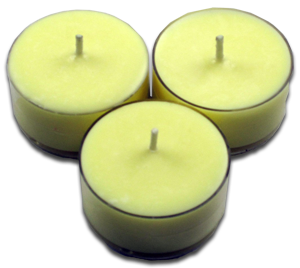 As with all of our candles, our soy tea lights are made from all natural Soy Wax with all cotton wicks. They are in clear heat-resistant cups so the flame and the color show through right to the end. They last a very long time! Perfect for your special event or just to add a nice fragrance & glow around the house. They work great with all of our tea light holders too!